In March 2017, on behalf of the Zellerbach Family Foundation, i.e. communications organized a convening of statewide funders, advocates, and providers to discuss how to move California forward in meeting the mental health needs of California's most vulnerable youth. i.e. also created a literature/research review in collaboration with meeting participants, as well as a meeting summary. 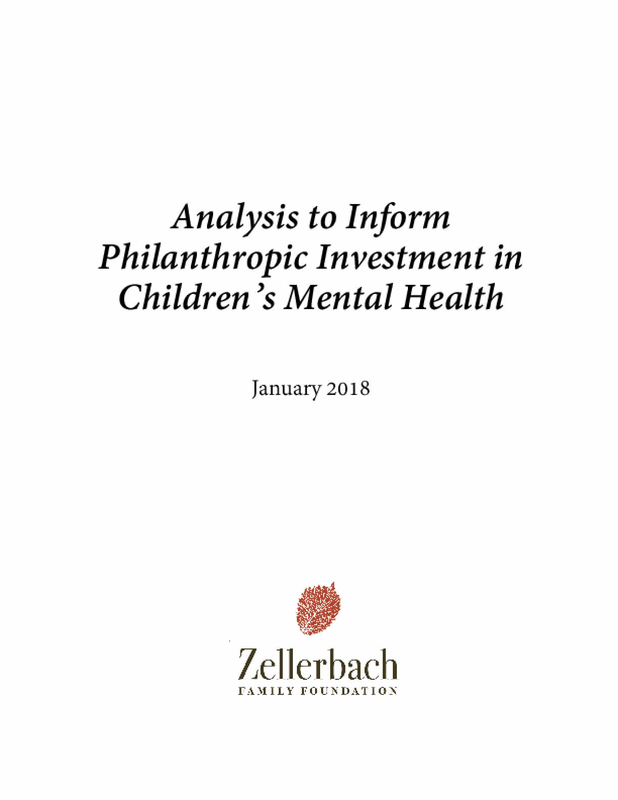 This evaluation report intends to provide an inventory and better understanding of organizations currently working to improve children's mental health in California, and to inform more coordinated and strategic investments in this area. Copyright 2018 by Zellerbach Family Foundation. All rights reserved.